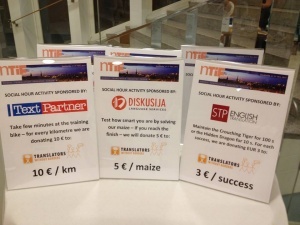 Interested in fundraising for Translators without Borders? Ready to help us tell the world that #LanguageMatters? At TWB we would not be able to do our work without the many people who raise funds to support the organization. We have put together a list of some of the most creative and fun events that our supporters have planned, and we hope that these will inspire you to fundraise for TWB. An outdoor event can be a great way to get the team out of the office and working together on a challenge. The Coastal Hike Treasure Hunt, organized by KantanMT and LocWorld in 2016, brought together competing teams from 16 companies. The full day event included teamwork, sightseeing, a good workout and a tough mental challenge. All the teams brought their company flags, Lionbridge sponsored lunch on the hilltop, and the day was topped off by dinner and music in a local traditional restaurant. Now who would not enjoy that! 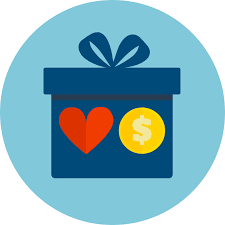 Online fundraisers can be creative and fun, like this one organized by SDL. Events such as these that are run on social media can be great visibility opportunities for TWB and for your company. 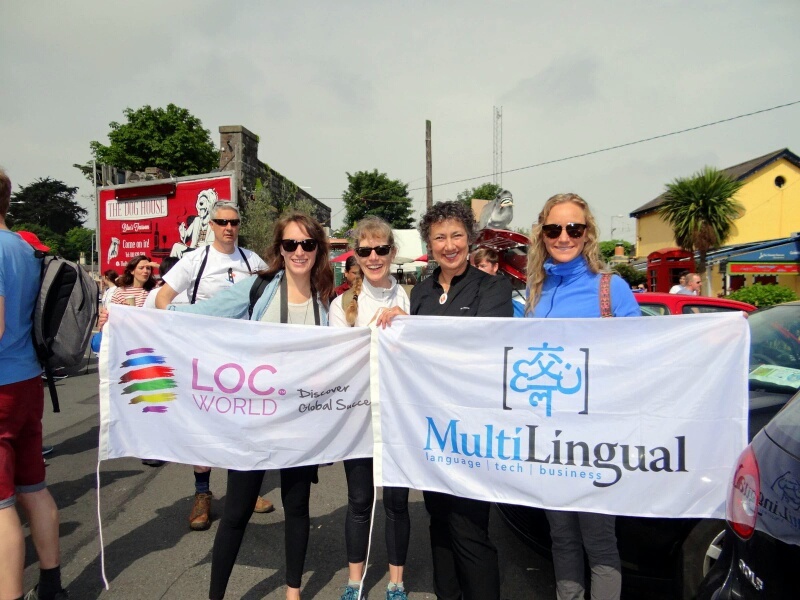 Help us spread the word that Language Matters, get noticed and give back, all in one go. The “Around the World” OnOurBikes TWB fundraiser is in its 5th year now and those cyclists are just going from strength to strength. Organized by TextPartner, and with the participation of a group of dedicated supporters, OnOurBikes is TWB’s largest and longest standing fundraiser. It is a great example of a sporting event that you can get in involved in from anywhere in the world, anytime. Every year, translation companies and individuals organize their teams and get on their bikes. Join the fun this year. Click here to see a slideshow from the bike ride of past years. Microsoft are long time supporters of TWB and one of the very special fundraising initiatives they have come up with, is to nominate TWB as one of their charities of choice for their October Giving Campaign. 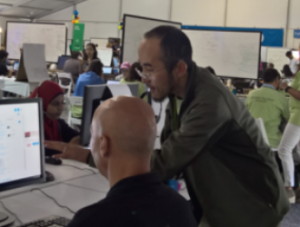 During the month of October, employees can volunteer their time to translate crisis content for Translators without Borders and, if they do that, Microsoft will donate for every hour they spend volunteering. Not only does this raise much-needed funds for TWB, but is also allows employees to contribute in a very meaningful and important way. By using their language and translation skills to translate simple crisis terms, Microsoft personnel are enabling TWB to respond better to emergencies by providing non-profit partners with crisis response terminology in a range of languages. That way, they can reach and help affected people, faster. Put the ‘Fun’ back in Fundraising! The organizers of the Nordic Translation Industry Forum (NTIF) have supported TWB for many years by raising awareness about our work and by creating opportunities for increased exposure to key players in the translation industry who can contribute to our mission. The NTIF’s Social Hour, which is held at the annual conference, involves a series of games designed to raise funds for TWB. It has been a great success year after year. Not only does this make an important financial contribution to TWB, it is also a highly appreciated networking activity. The games are kindly sponsored by translation companies attending the annual forum, and the event is known for the fun atmosphere. Do you like a good competitive c hallenge? Our friends at Zelenka Translations turned a work conference into a mighty fun contest by organizing the #SweatWithZelenka fundraising event at Tekom 2016, in support of TWB. It was incredible to see how much a speed-cycling challenge, buckets of determination, and a collective fundraising goal could achieve in only three days! The videos and photos of the participants trying to break the speed record caused quite buzz on Twitter! Click here to read more about this fundraiser. 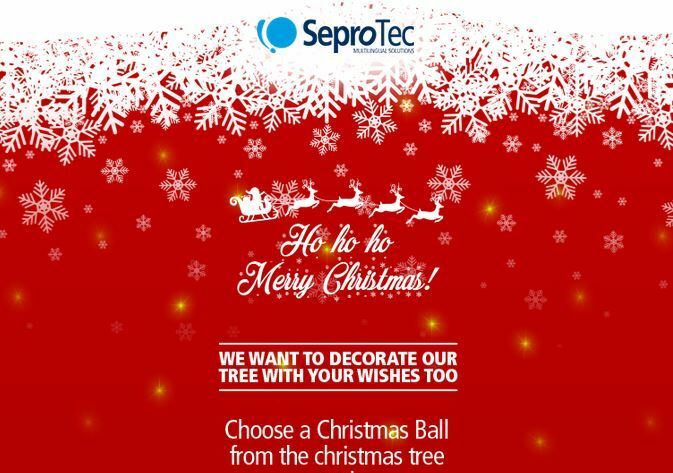 SeproTec’s festive fundraiser offered givers the opportunity to get creative with words in any language. 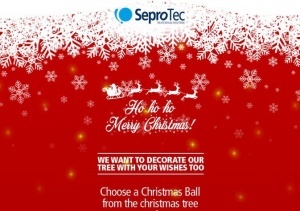 The magical Christmas tree designed by the team at SeproTec, collected “collocation Christmas wishes,” for each decoration throughout the holiday season. 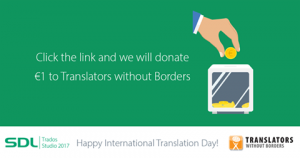 For each wish, our friends at SeproTec made a donation to Translators without Borders. Click here to see the inspirational and very multilingual tree. Would you die your hair or shave your beard for a good cause? How about getting a tattoo? Well, there were a lot of people at the GALA Amsterdam Conference in March 2017 who were game for some creative fundraising. Andrew Hickson who works with TWB sponsor Euro-Com International came up with what can only be described as a ‘movement’, Trim, Tint or Tattoo for TWB. Andrew used his powers of persuasion to secure commitments, from his book of contacts, to Trim, Tint or Tattoo for TWB. The result was quite a show! The Translators without Borders Cookbook is a volunteer created and managed fundraising project which brings lovers of food and languages together. The cookbook celebrates multiculturalism and diversity through the universally common love of food. Launched in August 2016, the Cookbook is composed of recipes provided by supporters of Translators without Borders. 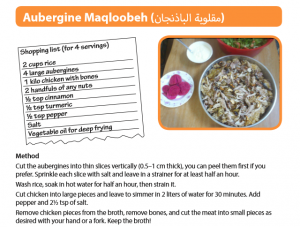 It is a living, ongoing initiative with recipes that span several cultures and countries freely available to download. Donations welcome! The team at itl.eu are not only creative in their production of technical documentation and app development skills, at Tekom 2017 they used the opportunity while showcasing their services, to also raise funds for TWB. For each correct answer on their custom-made gaming app, itl.eu made a donation to TWB. During the three day event, the highest scores were listed alongside how much had been donated so far. This certainly got the competition going while at the same time, raising awareness and funds for our work! Create your own personal TWB online fundraising page on Justgiving or on JustGive. You can invite your friends and family to support your personal challenge. Holiday shopping online? Did you know that if you shop using this Amazon Smile link, Amazon will donate a percentage of your purchase to TWB every time? Get started by downloading a TWB Fundraising Pack now. Just click the gift!